The Players produce theater performances, including musicals. They also have a children’s summer theater program. 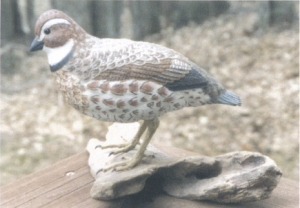 I carve decorative birds and waterfowl from local basswood and hand paint them with acrylics. The mounting material is from Lake Superior.